Which side are you on? 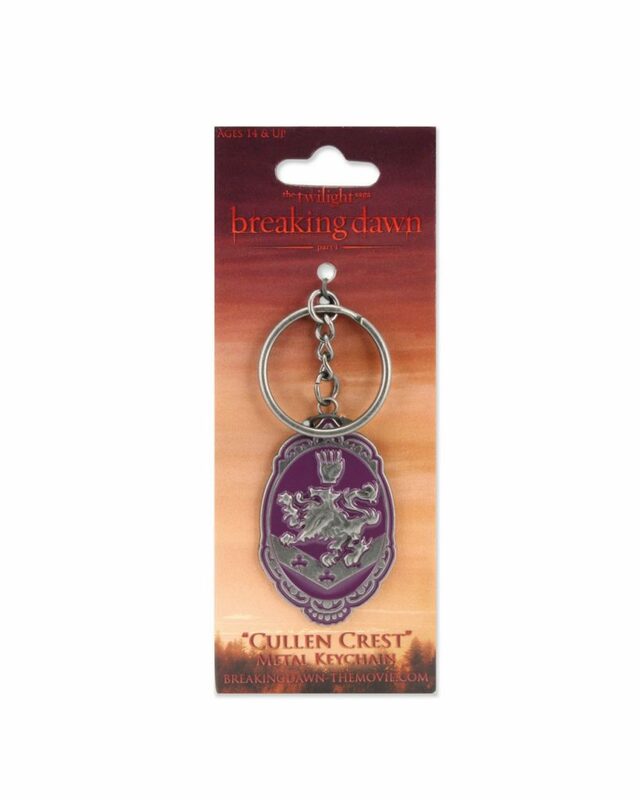 Declare your allegiance with this metal and enamel keychain from Twilight: Breaking Dawn! 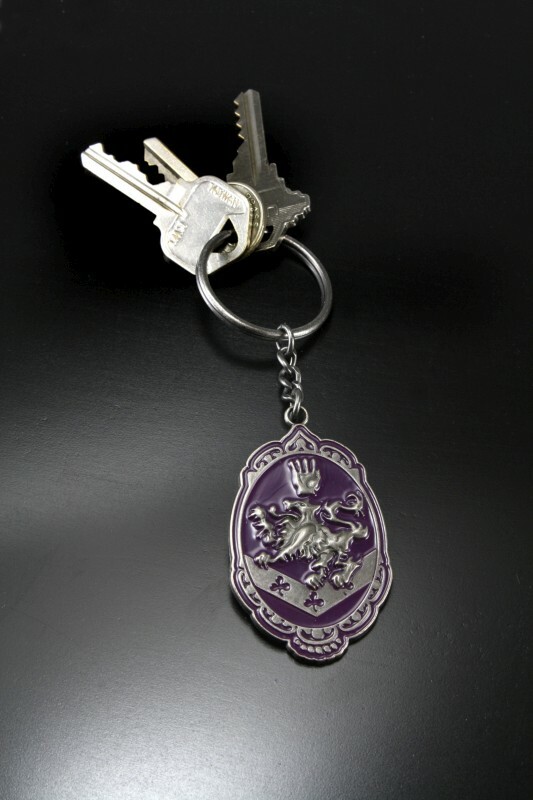 Once you attach the silver and purple Cullen crest to your keys, they’re officially under the protection of the vampires. 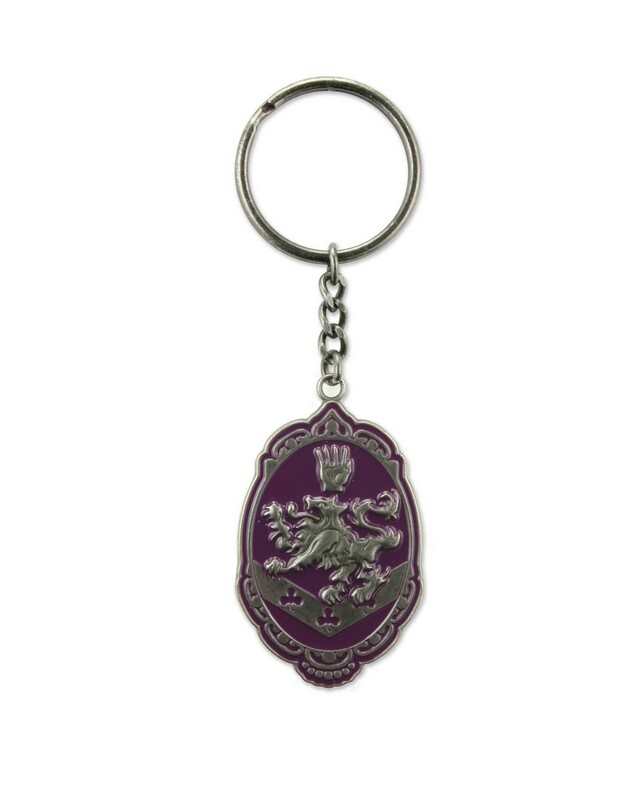 Pendant measures over 2″ high.